URBAN CO-WORKS announces the hiring of Kristen Guastella as community manager for the coworking space located in downtown Schenectady. Guastella will work to maximize URBAN CO-WORKS’ membership through sales and marketing techniques, provide outstanding customer service, maintain an exceptional and dynamic community, run the day-to-day operations, and plan engaging member events. “I am thrilled to be part of the URBAN CO-WORKS team. With my dual creative and business background, I am eager to carry those experiences into my new role as community manager and use my skills to help lead URBAN CO-WORKS into the next era,” said Guastella. Guastella holds a Bachelor of Science in psychology and studio art from the State University College at Oneonta. She previously worked in sales and graphic design at Our Towne Bethlehem Publication (Delmar, NY), as well as photography for Manhattan-based Iconic Group, INC and Aurélie Graillot Studio. 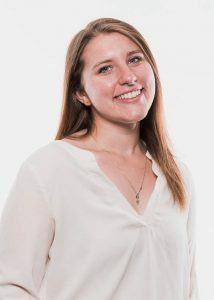 The post Schenectady’s URBAN CO-WORKS Announces the Hiring of Kristen Guastella as Community Manager appeared first on Capital Region Chamber.